What Is A Mastiff Dog? Mastiffs are massive. They should be to perform the work they were bred to do; guard, impose, deter. You can’t perform those functions unless you have size. A Mastiff that is not massive is akin to a Big Dog Mom that is NOT big. Ha! As they say, size matters, but not as much as you might think. What matters more is temperament, health, and let’s expose that elephant right here and now, cleanliness. 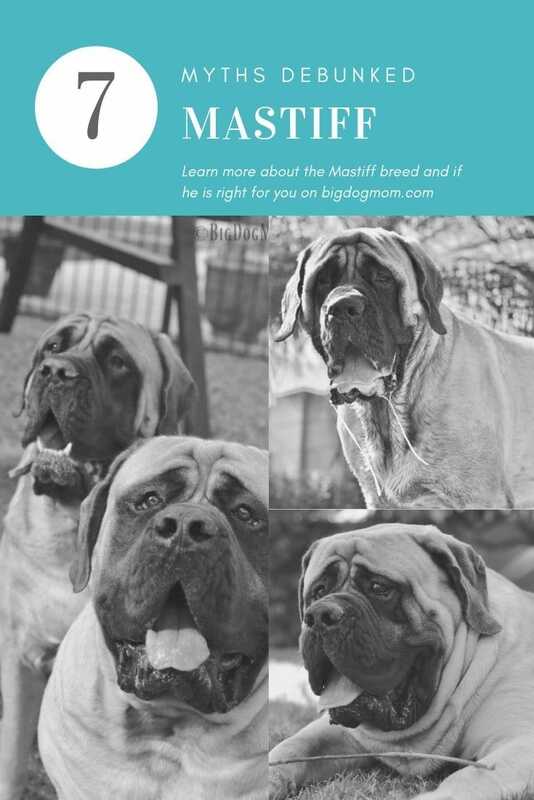 Mastiff rescue organizations work tirelessly all across this country re-homing and rehabilitating Mastiffs that are neglected or simply just not the right breed for the owner. My objective today is to provide information for anyone considering buying a Mastiff puppy. Know what you are getting yourself into. Caveat emptor. I suppose for some people, seeing a massive dog in a tiny studio apartment is amusing. You know, “fat guy in a little coat,” kind of funny. This image in my head makes me as sad as seeing an elephant in meager accommodations at the zoo. Just based on an English Mastiff’s size alone, these dogs need space. A lot of space. Traffic jams and roadblocks are an everyday occurrence when you live with a Mastiff. They will choose to walk in front of you, sloooowwlllyy, whenever possible. They will follow you into every room in your house no matter how small or smelly the room. And they will sprawl out in exactly the location you need to be mastiff-free. Exercise is another consideration. Mastiffs are a working breed. Unless you have the time to be walking your Mastiff multiple times a day, cramming this huge breed into a puny apartment is a recipe for disaster. They need exercise. A lot of it. But not in a traditional sense. When I say exercise, in addition to a traditional walk, I am referring to numerous activities which are absolutely essential in the life of a Mastiff. These activities include continuous and regular socialization, obedience training, and access to green space to run and play for muscular and cardiovascular health. 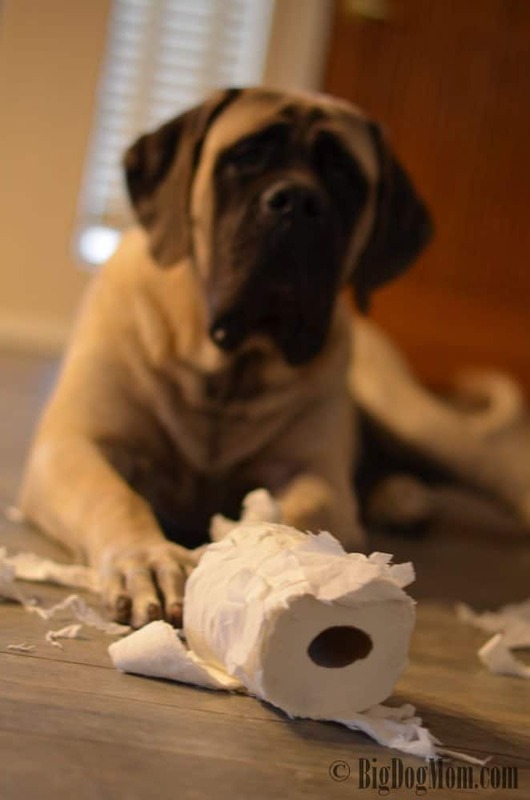 If you think a Mastiff will be happy lounging around in your studio apartment from 8 am – 6 pm while you are away at work, the slobbery bits of paper and wood chips from your furniture will be evidence to the contrary. On the contrary. Mastiffs are very sensitive. They can get their feelings hurt easily and have very long memories. While I don’t recommend them now, many years ago we put in an invisible fence on our property for our Labrador, Burton, and our first Mastiff, Maya. Flags were placed above a buried wire about 3 feet apart along the perimeter of our yard. The training instructions said to walk along the perimeter and shake each flag and say “NO” while the dogs sat inside the yard watching. The next step was to walk the dog up to the flags where the wire was buried and allow the dog to first hear the warning beep then feel the shock, just once. Eventually, the flags would be removed and the warning beep was their reminder. We never made it to step two with Maya. As soon as she heard “NO” she wanted nothing to do with those flags. And that was it. She never even wore the collar. We moved several times during Maya’s life and with each move all we had to do was get those flags out and place them where the boundaries of our yard were for a few days and she never crossed it. Some might consider her smart. I consider her perceptive. Let me break this down in the simplest terms I know how. 1. A Mastiff is NOT a Labrador Retriever 2. A Mastiff should not be fearful or aggressive. A fantastic must read book for every prospective Mastiff owner is Dee Dee Anderson’s book The Mastiff: Aristocratic Guardian. Dee Dee does a wonderful job using humorous and touching stories from her experience as a breeder to illustrate a proper Mastiff temperament. In short, a Mastiff must be well bred and well socialized (A Bomb Proof Big Dog Starts With A Socialized Puppy). If either the genetics or the socialization is lacking, a Mastiffs friendliness toward strangers will be in question (Life With An Aggressive Dog: A Letter To My Sweet Baboo). This is why it is absolutely imperative to do your research if you are considering buying a Mastiff puppy. Meet and interview many breeders. Screen them like you are a member of the CIA and take note of which ones screen you in return. Be patient and be critical. After the “who’s walking who” wisecracks and inquiries into my dog’s eating and pooping habits, I often get asked how much a Mastiff puppy costs. My response is that I have never paid less than $2,500 and I have paid as much as $3,500. Now, that is not to say a Mastiff puppy being sold for $2,000 is inferior in some way. He may not be. But if you are going to be on a payment plan just on the purchase of your Mastiff, then this is not the breed for you. That said, feeding a high quality, species appropriate diet, only buying a puppy from fully health tested parents and a reputable breeder, and providing routine preventive veterinary care are among a few of the factors within your control that can have an impact on the finances and health risks of your Mastiff. If you believe that, I’ve got a bridge to sell you. Read How To Make A Great First Impression Big Dog Mom Style to get an idea of exactly how much these massive dogs drool. Put it this way, if Ivan Pavlov didn’t use Mastiffs in his experiments, he should have. Mastiffs have perfected the science of salivation! I can understand someone believing that just based on a Mastiff’s size alone. However, in my experience they are very easy to maintain. Mastiffs are a short coated breed and as such do not need to be bathed very often. A bath once every other month or less is sufficient. And like all other breeds, ears need to be cleaned and teeth brushed regularly as well. I could not disagree with this more. Mastiffs are easy to train, when it is on their terms. They want to please you desperately, however, not at the expense of whatever is capturing their interest in the moment. The simple command “come” may or may not result in a Mastiff sitting in front of you. It all depends. In terms of trainability, Mastiffs excel. While they certainly are not Border Collies or Belgain Malinois, they are a highly trainable breed. They have been known to excel in just about every dog sport there is. Read Nose Work Is Not Just For Bloodhounds And German Shepherds. With a little time, treats and a clicker, Mastiffs are an eager and responsive student. They respond best to positive training methods, not harsh ones. 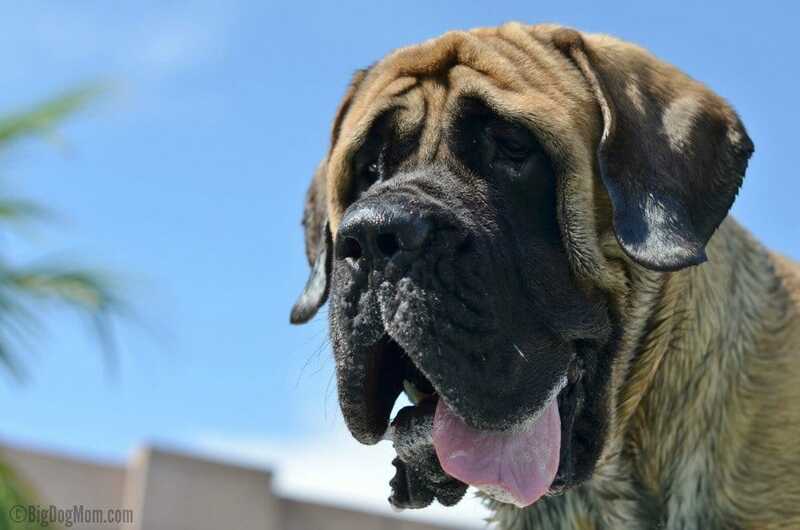 As I stated above, the true English Mastiff temperament makes them extremely sensitive so the use of shock and choke collars is not necessary or recommended. In my experience, Mastiffs respond better when training is fun and entertaining. All you are shooting for is being more exciting than the grass, so it is not a high bar you need to reach. A word of caution regarding training. Be prepared for slobber because it is profuse as soon as the treats come out. And for some of us, slobber begins to flow as soon as the door to the laundry room opens. Thanks Pavlov! Puppy Fear Periods: The 5 Things that Can Save Your Puppy! So there is no misunderstanding, here are the facts. Mastiffs are my breed of choice. Because there are more than one type of Mastiff, I will be specific. The English Mastiff is my breed of choice. While I adore many other breeds, Newfoundlands, Bassett Hounds, Bloodhounds and St. Bernards to name a few, Mastiffs are my love. While I would never bestow such a “compliment” to people like her, I am perfectly happy to be on the receiving end of such disdain. My reason is simple. It weeds out those status seekers only looking for the next 300 lb keg lifter, from those who, deep in their hearts, desire to share their home, their life, and their unconditional love with a Mastiff. Drool and all. I tend to disagree on the apt living. They are where there people are. They don’t take up any more space than a teenager. Our house is small and we had 3 Mastiff’s and 2 kids at home. Had enough room for everyone. Thank you, Marcia! I’m so happy you were able to be comfortable with kids and 3 mastiffs in a small home. I agree with you that mastiffs tend to just want to be where their people are and they don’t really care if it’s an apartment or a huge home. They are laying at your feet no matter the dwelling. That said, my point was more with regard to the space for them to exercise and stretch out and the fact that their bodies do take up space. Some people are just not prepared for that when they get a Mastiff unfortunately. I caution anyone reading this article to first read the disclosure statement buried second to last item in the menu. I would recommend moving that disclosure to the landing page. So there is no misunderstanding, here are the facts”. This is highly misleading because your 7 rules are posed as facts when they are actually opinions based on anecdotal evidence not science backed and tested theory and postulation. I am sure that everything you said was true… in your given situations with your specific dogs. Making broad brush sweeping generalizations is a danger because it is becoming the norm in today’s world. For as connected as we are these days we have never been so divided or ill informed because of all of the misinformation out there. I am not writing this to be mean, I hope you read with an open mind and hopefully write even better and more informed articles for us big dog owners in the future. So please take this all with a grain of salt. avma.org is a good source. Anthropomorphizing our pets is a natural inclination but sensitive is not particularly accurate. We are the sensitive animals. What we associate with our pets are survival instincts and defense mechanisms for staying alive … your pets do not hold grudges. It may seem that way but that is because of something I do agree with you on, the incredible intelligence and memory of Mastiffs! They are skilled puzzle solvers, escape artists and trainers of their humans. Remember they have been bred to guard, protect and serve families, especially young children. It is in their nature and DNA to manipulate, control and train us so they can do what they are made for. Towards most of the general public, yes. But not strange strangers. if your mastiff ever gets inbetween you and someone you don’t know i suggest you trust that he is picking up on something you didn’t, like body language, being in an altered state or ill intent. It is their job to protect you. I have learned that if my giant baby becomes Mr. Hyde around some people, there is a reason. Definitely true in the long term care but there are several ways to keep from paying the $2500 sticker price for a companion. Remember that is ‘the going rate’ and EVERYTHING is negotiable. You will pay that much with out a plan and laying some groundwork on relationships and bargaining tools months before you look for a pup. My current boy is purebred and even the grandson of India, a Romanian Old English who was introduced to the American line to reestabkish breed traits that were falling away from line bred families. He is a show quality specimen, ACK registered and about the most regal and handsome thing I have ever seen and I was able to get him for $500 from reputable breeders. But not as much if you understand the science behind why mastiffs and other wet mouth dogs drool and how you can preemptively curb a lot of it. A lot is actually based on studies that Pavlov pioneered. If you dig a little deeper than what we were taught about those experiments in our high school psychiatry classes, you will be astonished with what has taken off in drool reduction progress. Don’t get me wrong, there’s still going be Drool. Easy is subjective. As is what is meant by grooming I suppose. Can’t just pick mastiffs up and bathe them in the sink. And there is a lot more animal to groom so time and money need to figured in assessing ease. Anyway, I’ve ranted too long so I will give up the soap box. I just like transparency and I need to point out when non scientific based cursory information is presented as fact. Also, a LOT of changes to diet, food, neutering, among a bunch of interesting recent studies show consistsant repeatable results which changed a lot of what had previously been thought on best practices for our mastiff pals. Thanks again for providing the disclaimer. Had I seen that before hand I would have been prepared to read your article with a different filter/lens. Not the one that focus on mistakes and get all overly critical. Just think people should be more informed with actuals instead of assessments. they can be if you are able to expand beyond your current sources of reliable information. Thank you for your comment, Michael. I am not going to address each and every point you made, but I accepted your comment because you do provide some good information about the breed which is relevant to the topic at hand. Here are my thoughts for what they are worth and then, perhaps we part ways and agree to disagree. First, my disclosure is a top menu item on the homepage of my blog. It is NOT buried and I have absolutely nothing to hide. Second, I have never stated that my opinions are facts or based on scientific data. How could they be? They are opinions based on my knowledge and experience in the breed. Additionally, this is a blog, not a scientific journal. What I find interesting is that in the thousands of big dog owners who have read this post, not one has disputed what I wrote. Some may have a difference of opinion on one point or another based on their experience, but overall, most have agreed with my take. Lastly, I have never seen or heard of a Mastiff puppy being sold for only $500 from what I would consider a reputable breeder. Again, this is not based on fact, because I am not in a position to dispute what you say. I can only tell you that of all of the reputable breeders I know (and there are many), not one sells his/her show puppies for less than $2000-2500. I do appreciate your comment, and welcome your feedback. But please do not come here expecting scientific, peer-reviewed journal articles – this is a blog. There is a difference. I have never been anything but transparent about who I am, what I know (and don’t know) and what I write. One last point I will make is that you disputed every point I made in this post, presenting your opinion as fact. Is this not what you are criticizing me for doing? Hummm??? ?